July 27, 2018, The New Haven Independent, by E.A. Mcmullan- "The house was packed Wednesday night at The Range at Lotta Studio as locals and travelers converged on the co-working space for the 33rd edition of Pecha Kucha New Haven, titled “Summer Lovin’.” The space had been transformed with an immense amount of seating, and I was struck instantly upon arrival by the festive atmosphere and the many connections made and renewed throughout the studio. 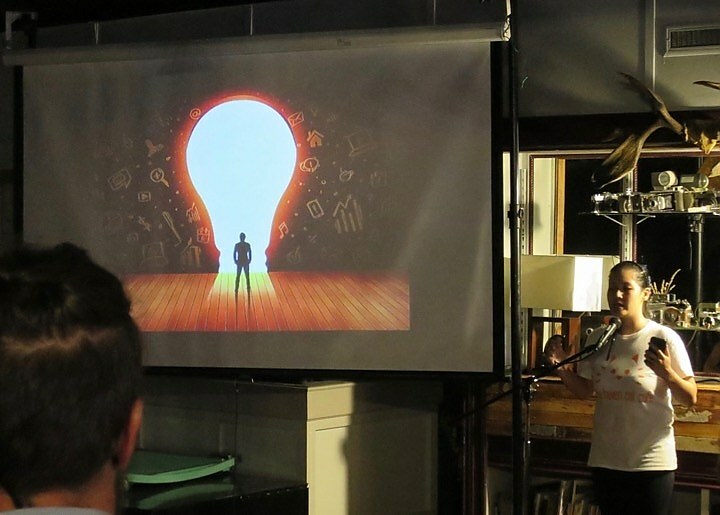 This August will mark nine years since the first New Haven Pecha Kucha night, where Greta Hotopp charged Kieran Coleman to present his passion. Hotopp has since stepped away, placing the reins in the hands of Joanne and Matt Wilcox..." Click HERE to comment and read full article.